I used to be a guide at Grand Canyon National Park, where I led both rim tours on the South Rim and day-hikes into the canyon. On those tours and hikes, I'd talk about everything from flora and fauna to geology, park statistics and the Native American cultures that made the Grand Canyon their home hundreds and thousands of years ago. I also talked a lot about one of my favorite topics -- the pioneer times in the canyon in the 19th and early 20th centuries. This page highlights some of my favorite Grand Canyon pioneers and explorers from that time period, along with links to additional reading. John Wesley Powell: "First Through Grand Canyon"
On the afternoon of May 24, 1869, at Green River Portage in what is now the state of Wyoming, a one-armed Civil War veteran along with a team of nine that included geologists, scouts and geographers, set off in four wooden rowboats to fill in a big blank: to explore and map one of the last and largest unknown areas of the United States--roughly 1,000 miles of the Colorado River through the rugged, desolate deserts and canyons of Utah and Arizona, including the mile-high cliffs of Grand Canyon. 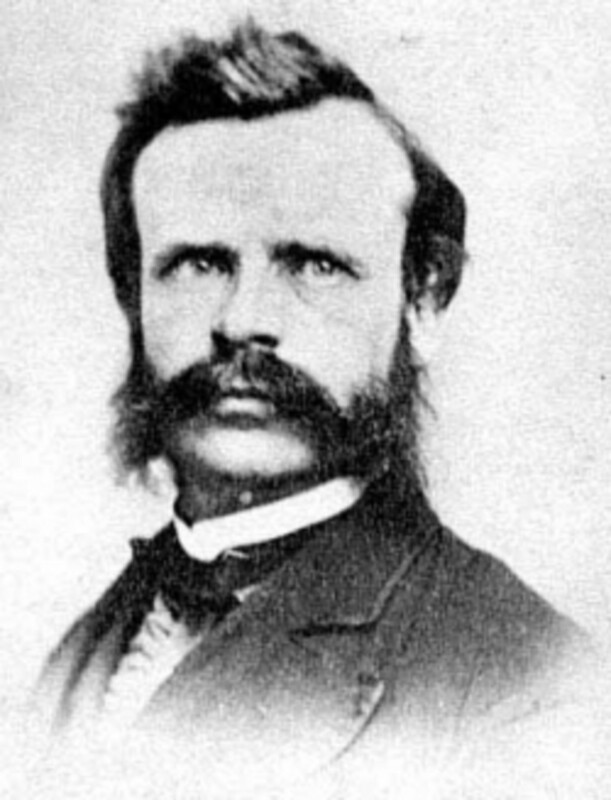 Major John Wesley Powell was that one-armed veteran and leader of the expedition, who eventually became the head of the U.S. Geological Survey. The story of his and his crew's daring adventure along that wild, yet unexplored river is one of countless and perilous twists and turns and surprises, mutiny and massacre, extreme beauty and amazing discovery. This is the best of the few books I've found on Powell's journey through the canyon. It's the uncut version of J.W. Powell's journal, including his later reflections on the expedition, which began with ten men and ended with six. Also included is the full narrative of his subsequent 1870 expedition along the Uinta River, where he rediscovered the Pueblo Indians. It's always fun to have a character to poo-poo, isn't it? Completely justified or not, Ralph Henry Cameron fills that role in Grand Canyon pioneer history. A politician, businessman and miner, Cameron, was very much opposed to Grand Canyon becoming a National Park. But he was all for charging people a toll to use "his" trail--the South Rim's Bright Angel Trail, now the most heavily used trail in the Park--which he'd expanded in 1890-91 from what had formerly been a rough Havasupai Indian route, in order to gain easier access to his mining claims. Cameron believed those claims, legitimate or not, entitled him to charge others to enter and exit the area, regardless of the fact that this was public land. 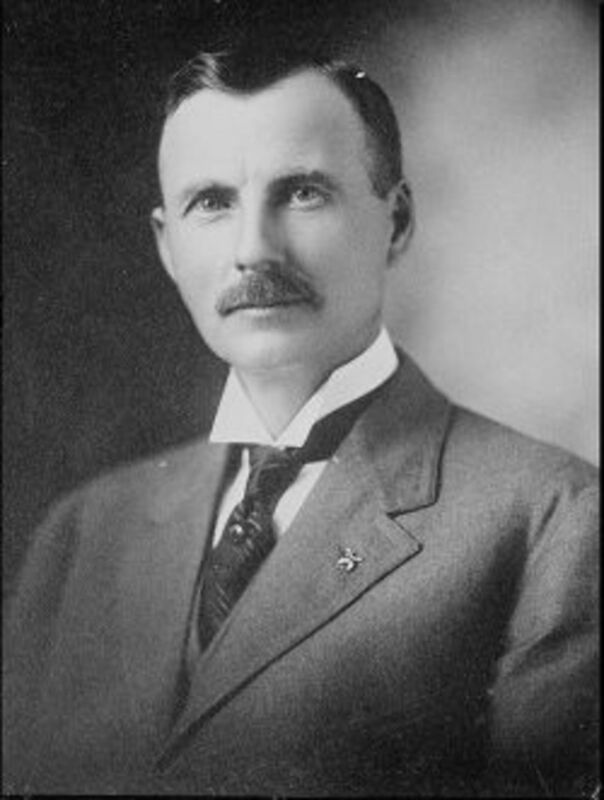 In fact, in his attempt to control Grand Canyon, Ralph Cameron built a hotel and attempted to make a number of illegitimate mining claims at other strategic locations. The Federal government, however, disagreed with Cameron's claim of entitlement and put a stop to his toll business, eventually evicting Cameron and his workers from Indian Garden in 1920. 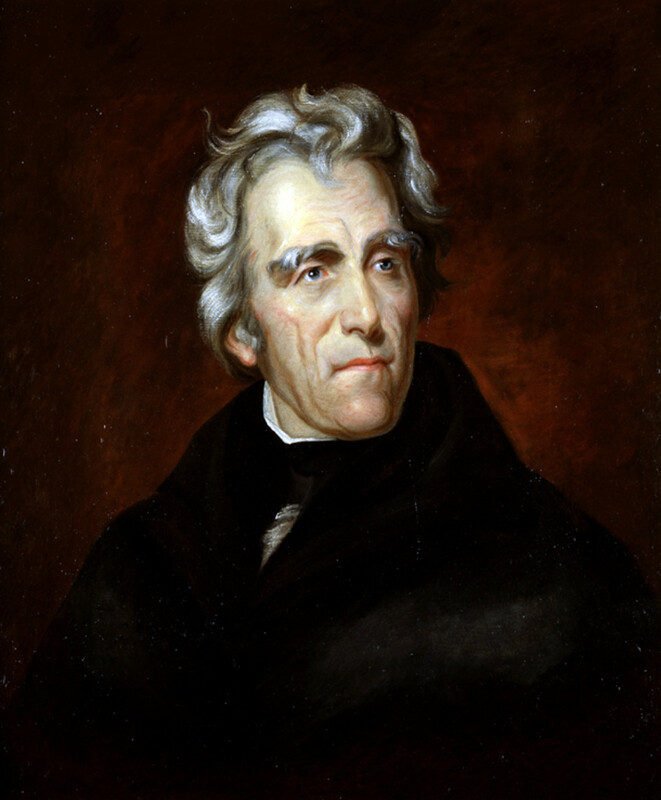 But that didn't stop his continued disputes with the Feds and others over his use of public lands, which he attempted to bolster with political power when he was elected to the U.S. Senate that same year. 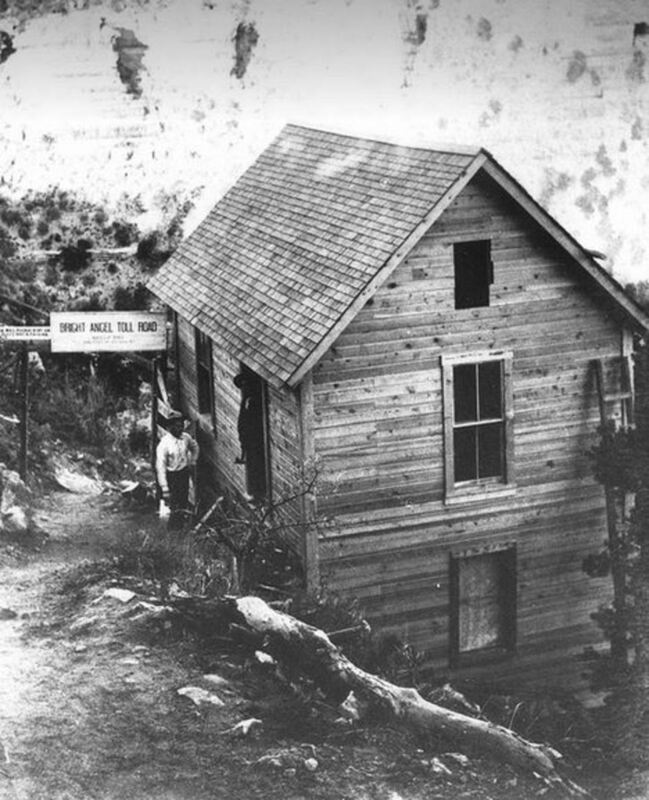 By 1924, Federal authorities had formally returned the remainder of Cameron's bogus mining claims to the public domain, then becoming part of the national park. See: Who Owns Grand Canyon? History (and his actions) may have labelled Cameron as a greedy scoundrel, but his influence on Grand Canyon is apparent even today, every time someone walks or rides or mule from rim to river and back on the Bright Angel Trail. Think of that, perhaps, if you visit his grave in Grand Canyon's Pioneer Cemetery. I would say that Emery and Ellsworth Kolb are my favorite "personalities" of Grand Canyon pioneer history. While many of the details I used to pepper my stories with as a Grand Canyon guide have slipped into the depths of my memory, I do remember the recurring vision I used to have of these two ambitious entrepreneurs as I described to visitors how the brothers would snap photos of tourists as they set off on mule-back down the Bright Angel Trail, then literally run past them, 4.5 miles and 3,000 vertical feet down to Indian Garden, where there was the pure water needed to develop the film. Then the brothers would run all the way back up the trail -- which is difficult enough walking -- to get there before the tourists returned, so the Kolbs could sell them the photos. First Emery in 1901 and then Ellsworth a year later came to Grand Canyon from Williams, Arizona, with their photographic equipment and worked out a deal with the man who controlled the Bright Angel "toll road"--Ralph Cameron--to set up a tent at the top of the trail. Their darkroom at the canyon began as a small cave in the side of the canyon wall, with a blanket covering the entrance. In 1904, they began construction on Kolb Studio, a building perched right on a "shelf" blasted into the edge of the rim, at the head of the Bright Angel Trail. The building was expanded more than once, including the addition of a studio and a three-story section for a residence for the Kolb brothers and their families. But the brothers weren't just photographers; they were also daring adventurers who went to great lengths ... and depths ... to get their photos, including Ellsworth balancing one foot on either side of a very long way down, while dangling Emery (with the camera) from a rope. See the famous photo of this maneuver at MousetrapVintage.com. In 1912, the brothers completed a boat trip down the Colorado River, becoming the first to record such a trip down the river with a movie camera. After a promotional tour around the country to show their film, they returned to Grand Canyon. Emery Kolb ran the film of their river adventure each day in the studio showroom from 1915 until his death in 1976 at the age of 95, making it the longest-running movie in history. The film's recorded narration was added in 1932, but Emery still introduced the film to the live audience himself. After doing so, he would claim that he was too old and weak to narrate the whole movie ... then he would spring past the surprised audience, up the stairs to start the projector. It's fun to imagine this scene today, standing in that same showroom, where a variety of exhibits are presented throughout the year. This book includes short stories about the Kolb Brothers' legendary adventures and antics in the Grand Canyon and many early photographs. In 1885, William W. Bass set up a primitive tent camp on the South Rim, about 25 miles west of what is now Grand Canyon Village, where Ralph Cameron was collecting his tolls. Bass was himself also a miner--a true prospector, that is--and a friend to the Havasupai Tribe, with whom he improved an old Native American trail from his camp to the inner canyon, calling it the Mystic Spring Trail. Later, from the improved tent site called Bass Camp, he led visitors into the canyon and also used the trail for prospecting. W.W. Bass and his crew eventually established more than 50 miles of trails below both the South and North Rims. They also erected a tramway across the river. Today, the trails remain, including my favorite hike in the canyon (See: Hiking the South Bass Trail in Grand Canyon for photos and information), but the tram no longer exists. Something else that does still exist, aside from the wonderful, remote hiking trails, are remnants of Bass Camp, including a bunch of "historical trash" in the form of rusted old cans and other junk, along with foundations and the remains of fencing, which you can see in the area around the South Bass trailhead and down in the canyon too. Easterner Ada Lenore Diefendorf was vacationing at the Grand Canyon when she met and later married W.W. Bass, with whom she raised four children, all the while assisting her husband with every area of his business. Ada Bass was the first white woman to raise a family at the South Rim. What could be better than a combination of love and mystery in a Grand Canyon tale? In October, 1928, in a 20-foot wooden sweep scow that Glen Hyde built himself, he and his new bride set off on a honeymoon adventure down the Green River, connecting with the Colorado River and rowing on towards the Grand Canyon. Glen's goal was to set a speed record for traveling through the Grand Canyon, while also making Bessie, a novice on the river, the first documented woman to run the canyon. Romantic, huh? But the romance was apparently cut short. The last time the couple was seen was on November 18, 1928, after hiking up the Bright Angel Trail out of the canyon to resupply. On that side trip, they visited photographer Emery Kolb at his studio home on the South Rim, where they were photographed before going back to their boat. A man named Adolph Sutro hiked back into the canyon with the Hydes, taking photos and going a short distance downriver with them in the scow. After he was dropped off, Sutro was the last person to see the Hydes, as they again launched at approximately river mile 95. When the couple failed to return to their home in Idaho by December, a search was initiated, during which a search plane spotted their scow drifting around river mile 237, upright and intact with the supplies still strapped in. A camera found in the boat revealed that the last photo had been taken near river mile 165, on or about November 27th. There is even evidence indicating the Hydes made it as far as river mile 225, where it's believed they camped. No other trace of the Hydes has ever been found. 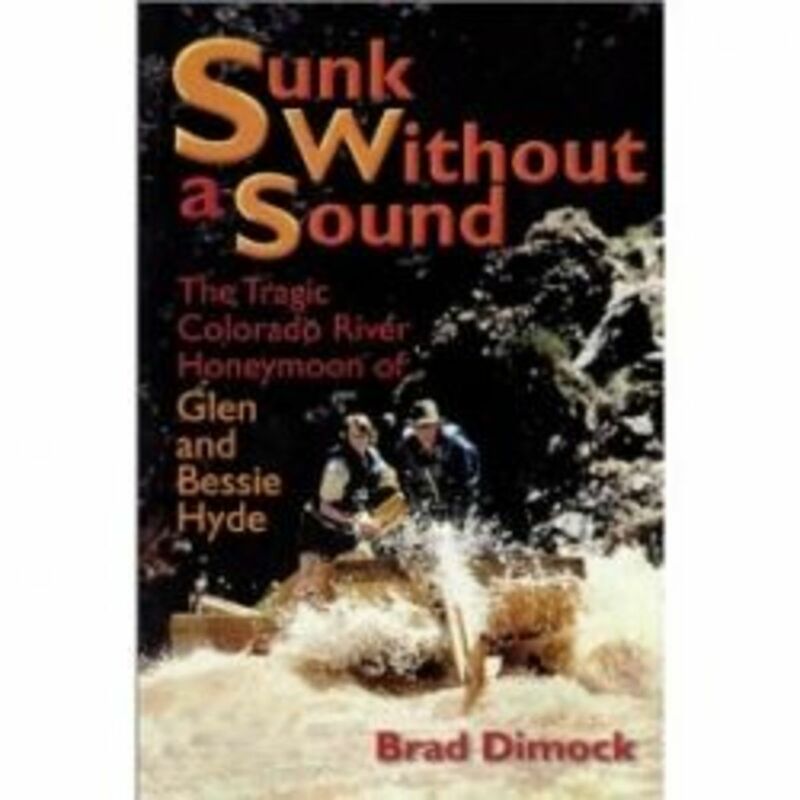 Among the stories and theories that have sprung up over the years about what really happened to the Hydes was the claim made by an elderly woman on a commercial Grand Canyon rafting trip in 1971, when she announced to other rafters that she was in fact Bessie Hyde, and that she had stabbed her abusive husband to death and escaped the canyon on her own. The woman later recanted this story. I really enjoyed this book, which is a combination of outdoor adventure, mystery, literary nonfiction, and investigative journalism, including all of the rumors, legends and "clues" that sprung up over the decades following the Hydes' disappearance. If you love stories about the pioneers of the Grand Canyon as well as a good mystery, you'll love this book. There were times when I was a guide when I wished I could summon the ghost of John Hance to come tell his tall tales to visitors who didn't seem too impressed with mere fact, staring blankly at me as I spoke with all the necessary enthusiasm and gestures at that grandest of canyons we were standing next to or hiking into. Or perhaps it was my story-telling that wasn't hitting the mark. I'll bet they would have found John Hance entertaining, though. After all, he was as much an attraction as the canyon itself, drawing crowds of tourists who wanted to hear what fantastical tales he might come up with. 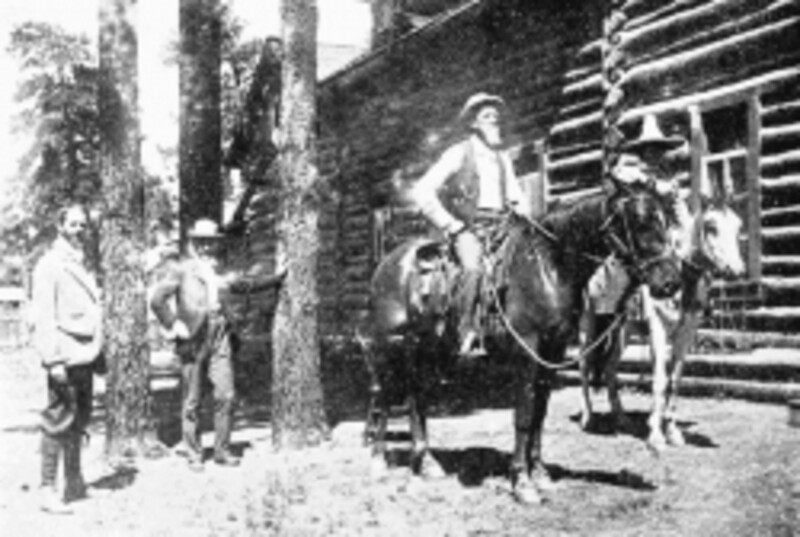 Captain John Hance was an Army captain and a businessman, who was one of the first settlers to make money leading tourists into the canyon by mule . He was also well known for "stretching things" a bit, like telling his audience with a straight face that he'd dug the canyon himself and deposited all the excavated dirt near Flagstaff, single-handedly creating the San Francisco Peaks. Hance, who passed away at the age of 80 in 1919, the year Grand Canyon became a National Park, was the first person buried in what would become the Grand Canyon Pioneer Cemetery. "In those days there were thousands of buffalo on the Texas plains. So when I wanted to come to Arizona, I waited until I saw a herd of buffaloes that was migrating to the west. Then I climbed up into the branches of a big mesquite tree, and when a big bull buffalo passed underneath, I dropped down onto his back. There I stayed until the herd reached Arizona, fifteen days later. The hump of the buffalo was right in front of me, the tastiest part of the animal. I ate off that - had all the meat I wanted." "To THE PATRONS OF THIS VOLUME: This is not a descriptive writing on the Grand Canon of the Colorado River, but a record of the impressions created upon the minds of individual visitors, at various times and under different circumstances, and written in the private visitors' book of Capt. 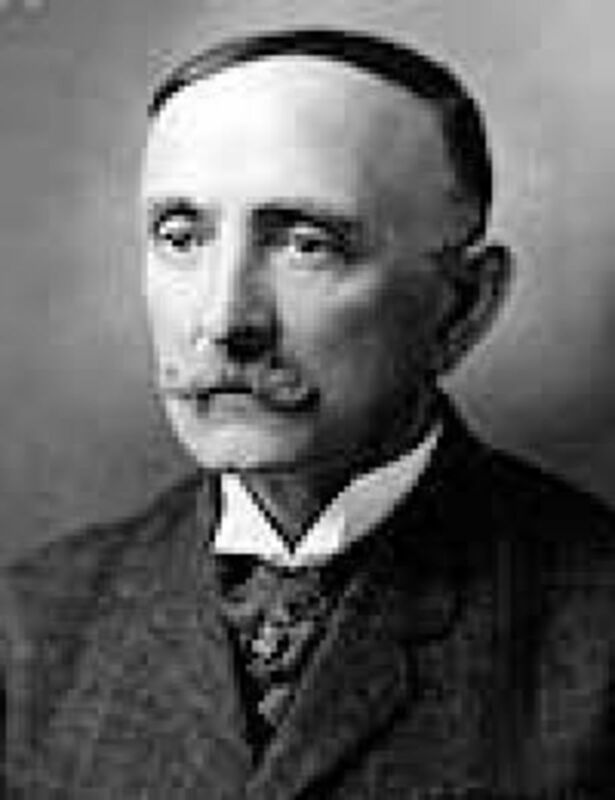 John Hance, the famous Grand Canon guide. 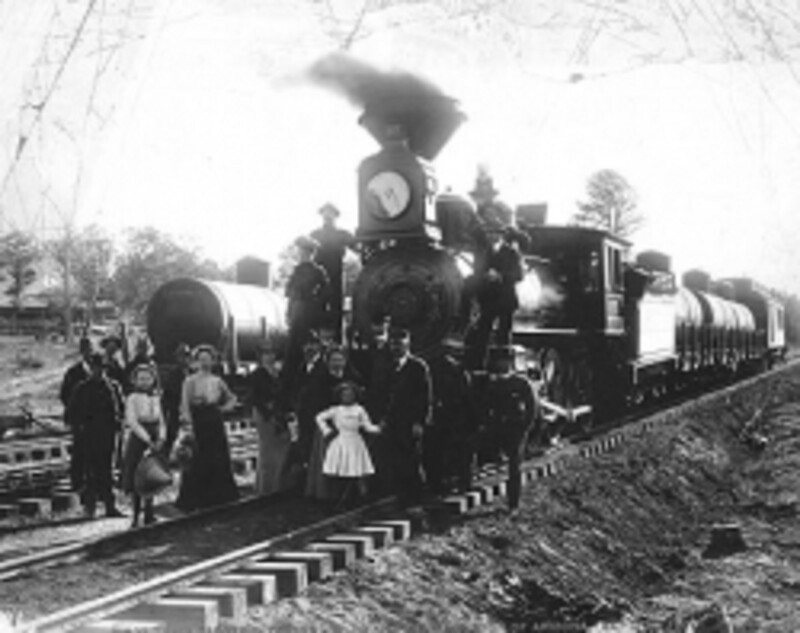 It covers a period of ten years, and partially describes the trip by stage from Flagstaff, Arizona, and return, under the management of G. K. Woods, General Manager of the Grand Canon stage line, owned and operated by J. Wilbur Thurbur. FLAGSTAFF, A. T., March I, 1899." You can see the full text at Archive.org. Fred Harvey, whose namesake company was the first owner and operator of concessions at Grand Canyon National Park, was well known for employing young women from the East coast to come out west and work in his hotels as waitresses, hostesses and shop attendants. These women became known as the "Harvey Girls." Through some contacts, Mr. Harvey hired another woman as the interior decorator of a New Mexico hotel. Her name was Mary Colter. In 1902, Mary became the chief architect and decorator for the Fred Harvey Company and remained so until 1948. Mr. Harvey commissioned her to design all of his company's buildings on the South Rim of the Grand Canyon, where her structures clearly reflected her fascination with the Native American history, architecture, and landscape of the American Southwest. 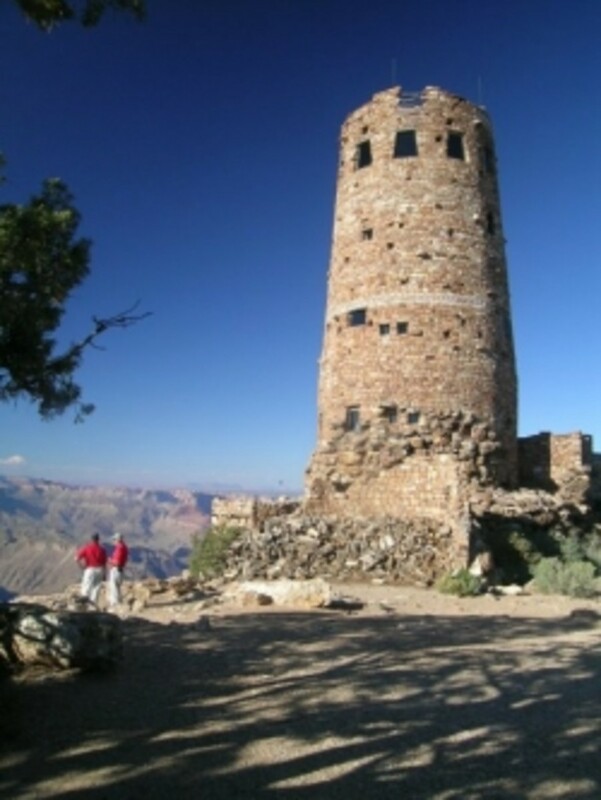 On the South Rim, Mary Colter designed the Bright Angel Lodge, Hopi House and Lookout Studio at Grand Canyon Village, Hermit's Rest several miles to the west, and the Watchtower (pictured here) at Desert View at the east end of the Park. She also designed Phantom Ranch at the bottom of the canyon, near the Colorado River. All of these buildings were intentionally designed to look old, even like ruins in some cases, rather than modern buildings of the time. While Mary Jane Colter may be best known for her Grand Canyon architectural designs, she designed many other buildings and interiors as well. Read more about this successful woman in what was largely a man's world at the time in Artist Hero: Mary Jane Colter. Colter did more than "just design buildings." She also created stories to go along with them. One of her biographers, Arnold Berke, wrote that "each building had its own 'reality' constructed in Colter's mind as the product of fastidious research and planning, then later planted in the imagination of the traveler." Colter also designed gardens, furniture, china--even the maids' uniform for the La Posada hotel in Winslow, Arizona, which she considered her masterpiece. A chain-smoker herself, Mary Colter designed this ashtray, inspired by Native American motifs. If you enjoy Grand Canyon pioneer history, this is a great book to add to your collection. With nearly 200 historical photos, many of which never before published, and 12 maps of the area, this comprehensive book covers Grand Canyon's earliest residents up through the creation of the national park at the end of the pioneer era circa 1920. Which of These Grand Canyon Pioneers Would YOU Most Want To Meet? Or is it someone related to the Grand Canyon not included here? Great lens. Very interesting. I also say thanks for your history lesson. Fascinating piece of history! I visited a few years ago but didn't learn this much about the pioneers. 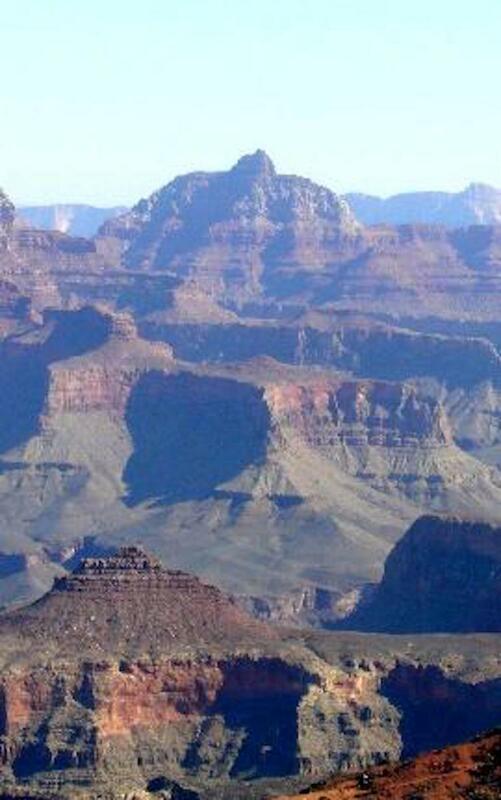 Thanks for sharing this information on the Grand Canyon, makes me want to be there! great lens..I wished I could a Lens as good as this one. Thanks for sharing this information on Grand Canyon Pioneers - The Early Settlers and Explorers, itâs very thorough and so well done! I learned something new. Great lens on the Grand Canyon. Really well researched and developed. Thanks for posting this and all the literary follow ups as well. Great info, loved reading this part of your history! Excellent page on Grand Canyon Pioneers. I hate to admit it, but I still haven't been there. Congrats on LOTD. I want to visit the grand canyon, but haven't made it there yet. Thanks for the lens. Fascinating and informative. I got lost in the Grand Canyon here. Thanks! (The link on the ownership was so interesting). This is really interesting. And you presented it so well. Loved it! Very nicely done. Cool lens! I love these ol' pioneer stories! Got some good ones from my region, coastal BC and the Chilcotin. Nice work here. I can only imagine the many stories you have yet to tell! Very interesting lens. The Kolb brothers sound like real characters. Thanks for sharing. Excellent history, and very interesting. This is an interesting lens on an historically important part of American History and Geology. Welldone on your LOTD! Just tickled to see your incredible write up about the Grand Canyon pioneers as LOTD! Great information. I never really knew about the early settlers of this area. Out of the ballpark again. Great article. A great read, thanks for posting it. @LouisHall: Excellent point, Louis. Trailblazers, indeed, especially Emery Kolb, who quite literally was a trailblazer...Going up and down that trail several times a day to develop his photo films, and no doubt developing great physical health in the process. Fantastic! Growing up in California, I have a special place in my heart for history of the Old West. What a great read! Absolutely loved your story telling weaved into these pioneer accounts. I would have to say that the Kolb brothers, Mary Colter, and the colorful Mr. Hance would all be fun to meet. Where's a time machine when we need one?! Wow, what a great lens, I love history. Congrats on LotD! Excellent lens! I noticed that most of these pioneers lived to be in their 80s and 90s. One secret to long life is living an intellectually and physically active life. Of course, I can imagine that these trailblazers ate a lot of whole food instead of the processed food eaten by millions of people today. And these were a segment of the population at the time that did not live like the average person since the life expectancy in those days was much lower in age. Anyway, they all left a great legacy! Congratulations on getting the LOTD! Well deserved! Not really sure who I would like to meet. wow, such a wonderful history lesson, thank you. All of them! 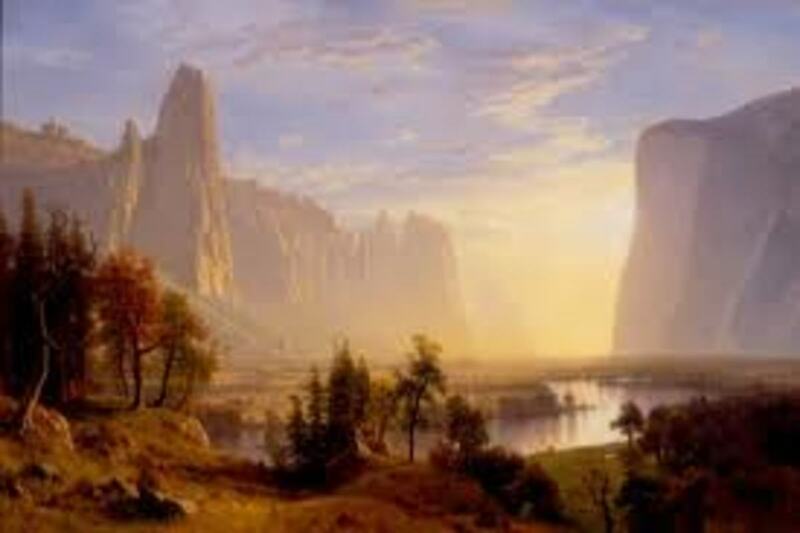 What a weath of knowledge about the Grand Canyon Pioneers - I would have loved to have been on one of hikes you led. I know it is a cliche, but our national parks are such treasures. Very cool lens. Fascinating characters. Congratulations on getting LotD! I'd like to meet John Hance, he sounds like an entertaining character. Congrats on LOTD! Marvelous page. Congratulations on winning Lens of the Day. Very deserving. I love history like this. Congratulations on LOTD. I have been to the Grand Canyon in many years, would like to go back someday. This really is a great lens. I really enjoyed it. A fantastic lens, and one of the best LotD that I've seen in a while! Congratulations! Well, hat off to all of them and to you! Very interesting! Congratulations on your LOTD! Congrats on being awarded LOTD. This is a a great read for me as I love the canyon and history. I have visited the Grand Canyon twice before and plan to return again someday. I would love to find out what happened the the Hydes. Very mysterious indeed! Congrats on LOTD! I've done extensive research on one of my great-grandmother side but none of these characters appear in our tree! Congratulations and very nice lens! All of them! They have done extremely well in life. You also have done a good work of compliation of their history.Well done. I want to meet Glen and Bessie Hyde. I want to hear about their adventures from their own lips. I love a mystery, but I always wish for a satisfactory explanation. This is a wonderful lens, well deserving of Lens of the Day. Congratulations! Congratulations on your lens of the day. I enjoyed reading your well written lens. Thanks for sharing! Make it a creative day! I like the History facts, I learn a lot... Blessings! Glen and Bessie Hyde for sure! Congratulations on Lens of the Day. I visited the Grand Canyon in 2007 and was in awe of the beauty, I hope to be able to revisit more of the Canyon someday. Congrads on Lens of the Day!! Thank you for this remarkable lens "Grand Canyon Pioneers - The Early Settlers and Explorers"
I had no idea there was so much history and so many people involved in making the Grand Canyon the remarkably interesting place it is. I have lived in nearly every state, but I have somehow missed ever getting to see the Grand Canyon. The Pioneers of the Grand Canyon were truly amazing people an' I am grateful to you for bringing their lives to our attention. It makes the Canyon seem somehow more real to me. Thanks. BIG Congratulations on this being the Lens of the Day! Well deserved. lovely lens thanks for the tour! Quite a fascinating read! Enjoyed it very much. Congratulations on LOTD! I'd actually like to meet Ramkitten. :) Truly, if one day we make it out your way I'd want you as our tour guide. Thank you for the wonderful tour on this page and congratulations on your you-know-how-to-make-history-interesting Lens of the Day! I think I'd like to meet you to take me on a tour of the Grand Canyon. What a wonderful peek into the lives of those who literally blazed the trail! Congrats on LOTD, I love the Grand Canyon, want to go back. This is great information. Very interesting info about the Grand Canyon! Congratulations on a well deserved LotD!! Congrats on lotd....really a beautiful lens. Your lens is very constructive! You deserve the title. Congrats and Happy Holidays! Super lens, packed with information from an obviously knowledgeable source! Congrats on LotD! I am delighted for you. What a fascinating history lesson I have received here. Of course, as a photographer, I just had to love those Kolb brothers. I'm imagining myself dangling from the end of that rope. The ultimate Kodak moment! How fortunate the visitors who had you as their guide. Beautifully done, as always. A well written article! Congrats on your LOTD! I really enjoyed your page. Loved the mystery of the disappearing honeymoon couple. Sort of like the Roanoke colony...can't help but wonder (time and again) what really happened! Blessed! Always wanted to visit the Grand Canyon; impressive historical research indeed. Few such articles around. The Grand Canyon is such an awesome place to visit. Thanks for all of the great info. I dream of visiting the Grand Canyon one of these days. Fantastic Lens, I'd love to meet all of them; that would be an interesting campfire to sit around (and chow down on s'mores). You made the Grand Canyon even more interesting with your stories. This is one place that I still have to visit. Wish you would still be there as our tour guide. @Heather426: Maybe! If you were there in 2006/07, I very well may have been! @OhMe: Thank YOU for reading. Yeah, if I could go back in time, I'd visit the Grand Canyon at the turn of the century and meet these characters, especially the Kolbs. @grannysage: Thanks so much, Diane! But I think I'm a wee bit better at telling stories with my fingers than with my mouth. I felt a bit shy as a guide, and I think sometimes that showed. I needed to channel some Captain John Hance on my tours! wow, Deb, great lens about one of my favorite places on Earth. maybe you were one of my guides there, lol. You are one might fine storyteller yourself. I can't imagine why your tourists on your tours were not mesmerized. That's it, they were speechless. We will probably stop at the Canyon on our way west and now I will have these stories to reflect on. I am most mystified by what happened to the Hyde couple. Wow, I enjoyed reading the stories of these Grand Canyon Pioneers. I think I would most want to meet the Kolb Brothers. Amazing stuff here. Thanks for sharing.